Identity vs Noise: 1Dn explored the interplay of identity and difference. 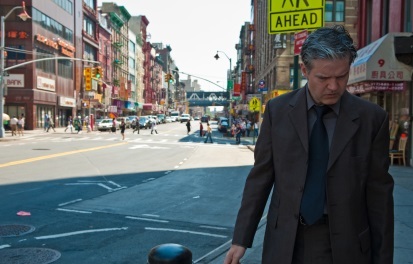 Created by the celebrated musician Lloyd Cole, the installation was informed by an artist who brought a European sensibility to his artistic work and engaged with audiences across Europe, Asia, North America and Australasia. The installation itself involved instantaneous presentations across various cities using new technologies. The presentation was a generative electronic composition of indefinite length, played by a unique modular synthesizer assembled by Cole specifically for the installation, with contemporaneous broadcast to interactive interfaces in Helsinki, Dublin and Tokyo. The composition was built around an innate volatility. The harmonic essence is constantly at odds with its environment. The ability of the other, the noise, to impact and corrupt the consonance, was in the hands of the audience. Someone flipping a switch in Dublin could interact with the composition running live in Adelaide, whilst someone in Helsinki could also become part of the equation. Dissonances may be slight, subtle, or brutal. 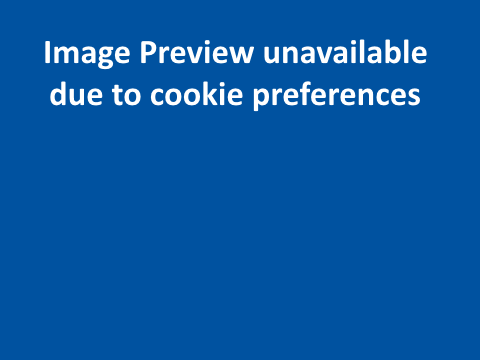 Changes could be instantaneous, or so gradual as to be indiscernible. 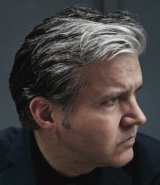 Lloyd Cole first stepped into the spotlight when Lloyd Cole & The Commotions released their effortlessly hip debut album ‘Rattlesnakes’ in 1984. After two further albums of era defining cerebral pop, Cole decamped to New York as a solo artist and made a home in the city that had always loomed large in his imagination. Resident in the US since ’88 Lloyd has released 12 acclaimed studio albums that run the gamut from electric rock’n’roll to intimate folk via experimental electronica. Cole’s experiments with electronic music, including his work with legendary German Cluster co-founder Hans- Joachim Roedelius, have been described by The Irish Times as “a delicate, delightful pleasure”. Llyoyd Cole previously visited the University of South Australia in 2014. Presented by the Hawke EU Centre for Mobilities Migrations and Cultural Transformations in partnership with Keio University (Japan), TAV Gallery (Japan), Trinity Long Room Hub (Ireland) and the Museum of Finnish Architecture (Finland). We also wish to thank and acknowledge, Nick Rothwell (www.cassiel.com) for overseeing all network coding associated with the installation.